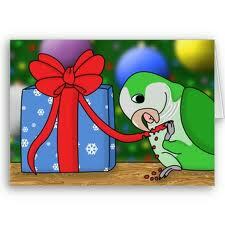 Have you been thinking about a new feathered friend for the holidays? get 20% off all accessories that go in the cage! This means that you save on toys, perches, cuddlers, even food! Not sure what to get? Stop by and ask any associate about our birds and which one might be best for your family. Check out our care sheets here for some basics on birds. Good on new set ups only, excludes sales items. Get your bird a new favorite nesting spot! We have an exciting new bird food!